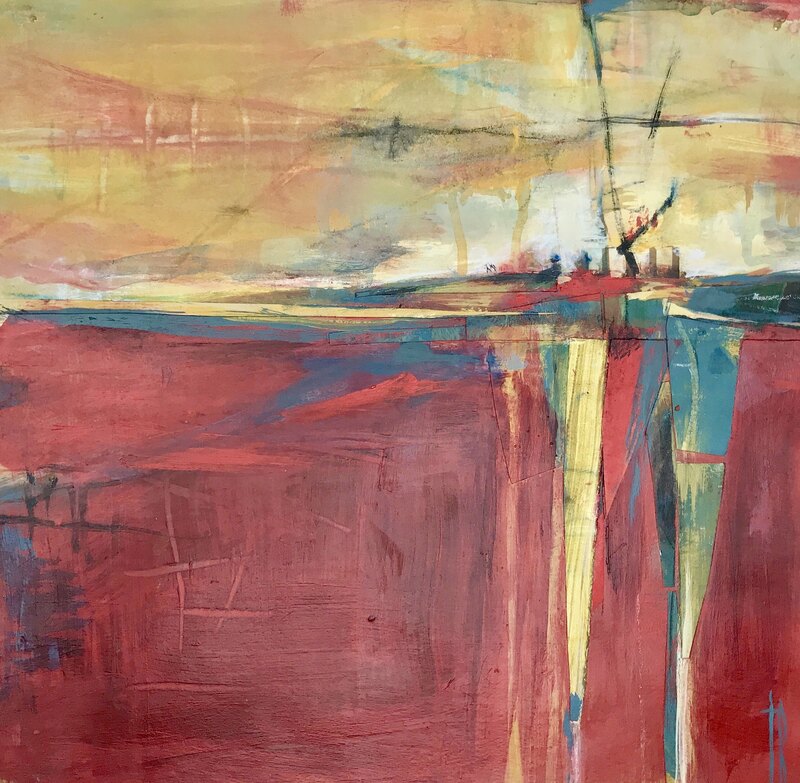 Terri Burris developed her interest in art at an early age, under the magical guidance of a neighbor who became her first teacher. She studied at El Camino College and Palomar College in Southern California. After an extensive career in textile, graphic and ceramic design, she returned to her first and greatest love…painting. Terri paints from focused perspectives of the natural world, filtered and infused with memory and nostalgia along the California coast. Her palettes emerge directly from her intimate observations of life’s minute details. Her stunning use of color creates subtle layers of imagery that are unique to each subject. The textured, moody and poetic pieces incorporate crystallized collage fragments to provoke each individual’s own thoughts, feelings, memories and imagination. Burris’ work is exhibited and held in collections throughout the United States. She works and lives in her native Los Angeles with her husband and son.